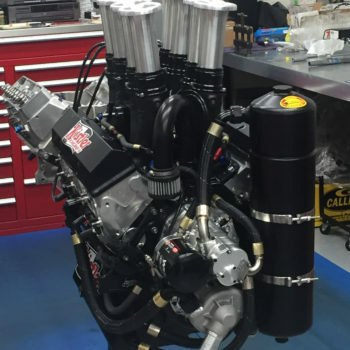 360 Sprint Car Engine package highlights and other details are shown below. 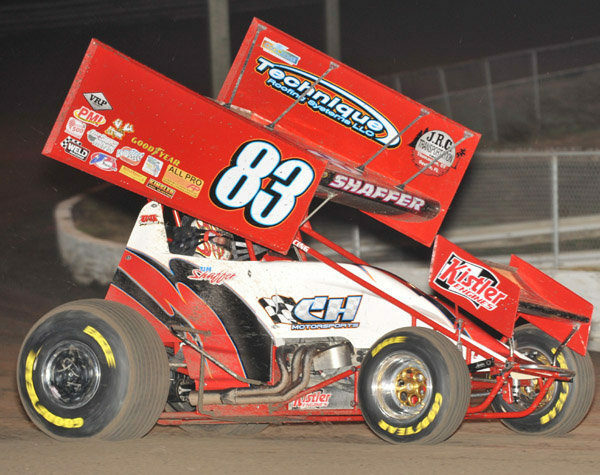 Learn what Kistler Engines can do to improve your 360 dirt sprint car racing engine. One of the most important components to building a highly competitive, well-running, reliable motor is the cylinder heads. 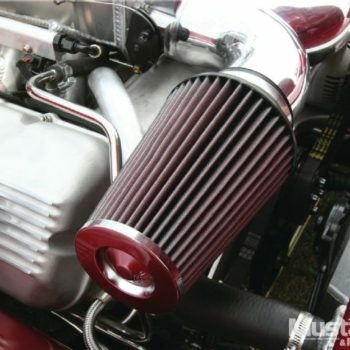 They require a great deal of technical design to achieve and maintain a HP edge. 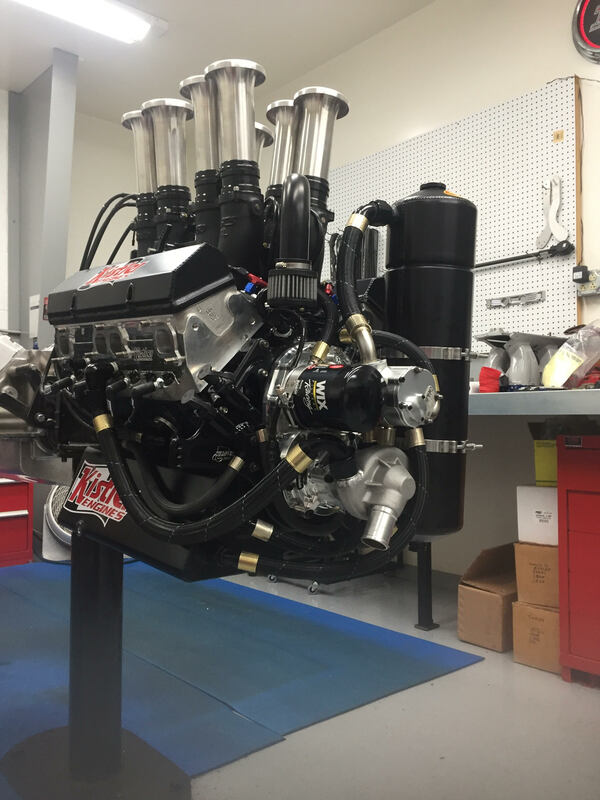 They are required to be a Brodix “spec” ASCS head to compete in ASCS series racing. 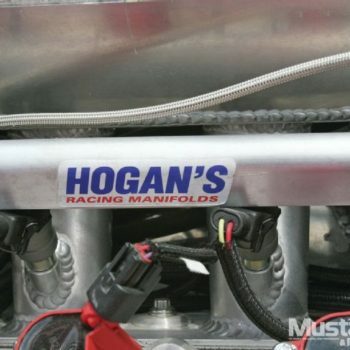 Kinsler or Engler fuel injections are used. 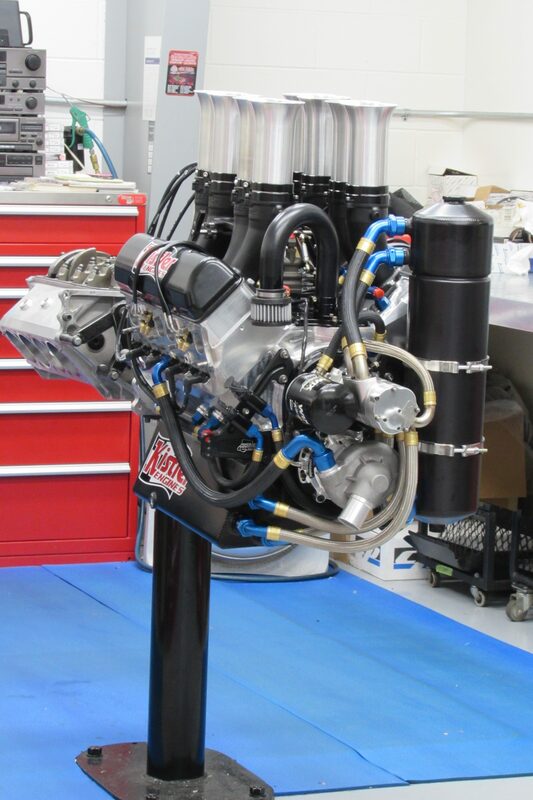 Size requirement is required to be a 2 3/16” injection stack. 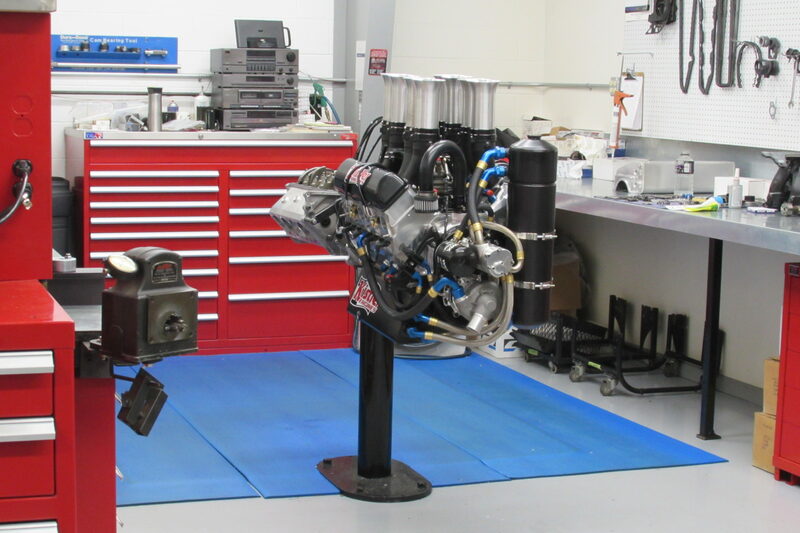 4 or 5 stage dry sump oil pumps are used and preferred to wet sumps for reliability and overall improved function. 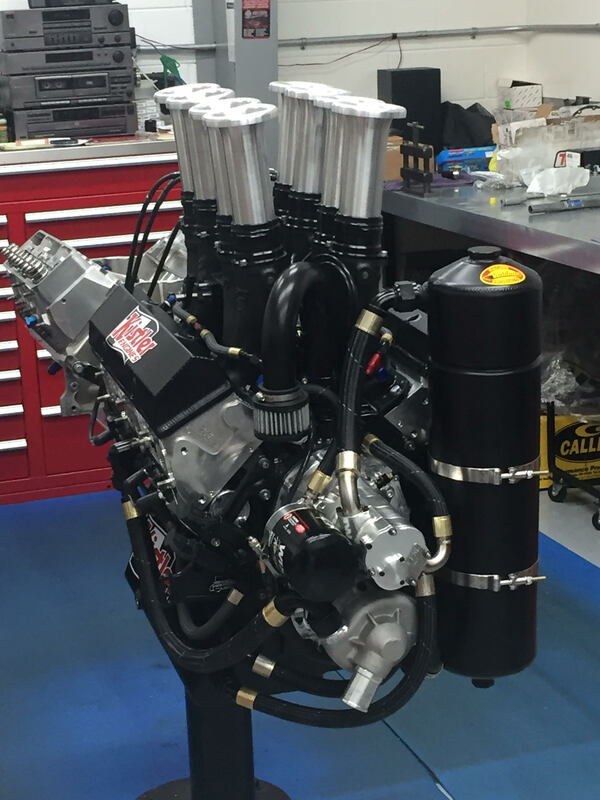 405 Sprint Car Engine package highlights and other details are shown below. 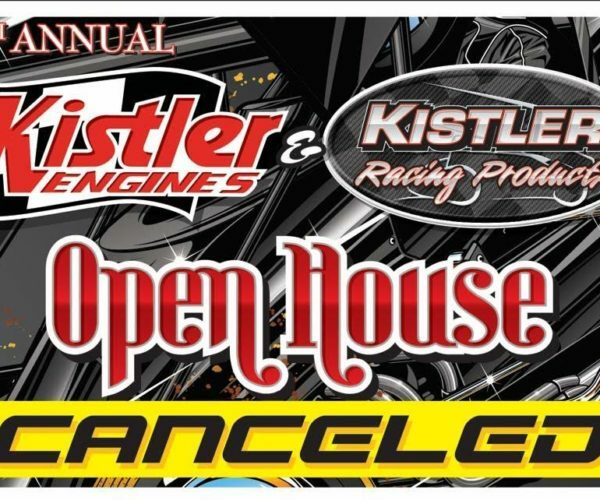 Learn what Kistler Engines can do to improve your 305 dirt sprint car racing engine. One of the most important components to building a highly competitive, well-running, reliable motor is the cylinder heads. 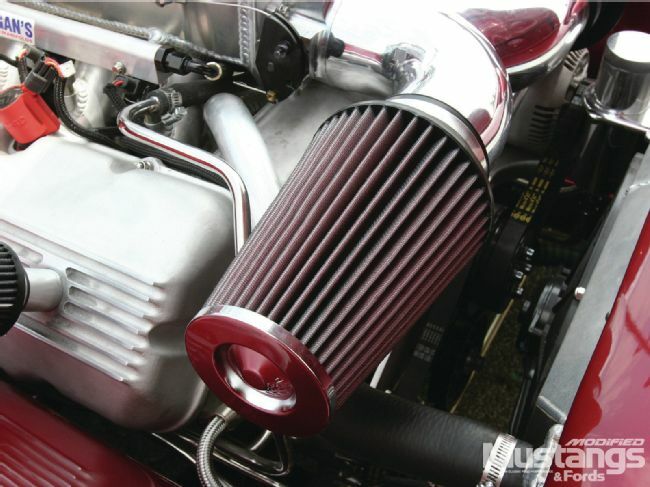 They require a great deal of technical design to achieve and maintain a HP edge. 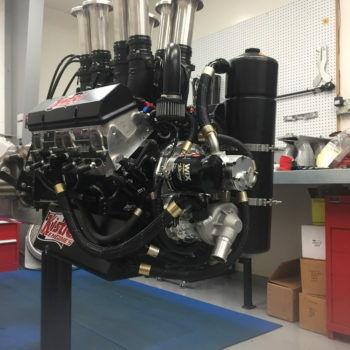 They are required to be an All Pro or Brodix “spec” 305 head to compete in 305 series racing. 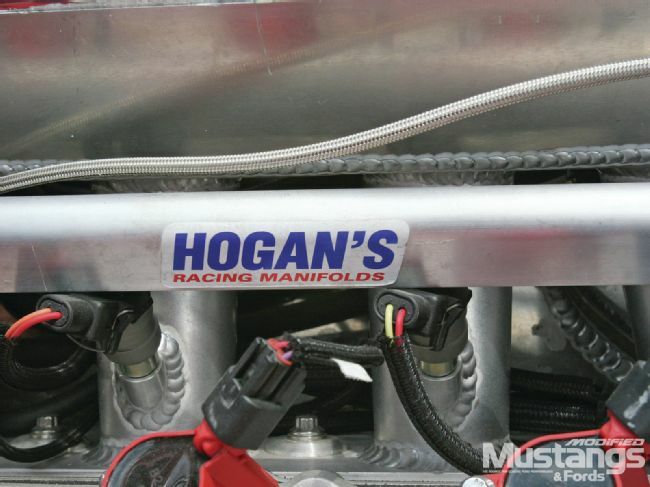 Kinsler or Engler fuel injections are used. Butterfly size is limited to 2 3/16″ maximum. Wet sump oil pumps are required for 305 series as another cost containment measure the series provides. Car projects often begin with an idea or a dream. Oftentimes it is a vision that bounces around in our heads from day to day, but one that never quite fades away. Eventually, and hopefully, we are able to turn this vision into reality one day, though it may take some time to materialize into physical form. Monroeville, Ohio’s Paul Kistler had a vision of a hot rod that was different from the rest; something that stood out in a see of more popular models. 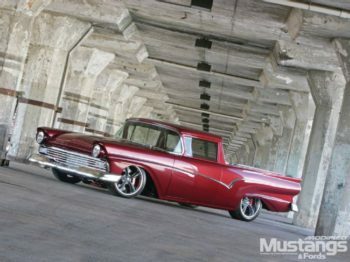 Paul’s vision focused on a 1957 Ford Ranchero, and it was about to materialize into the creation you see before you. 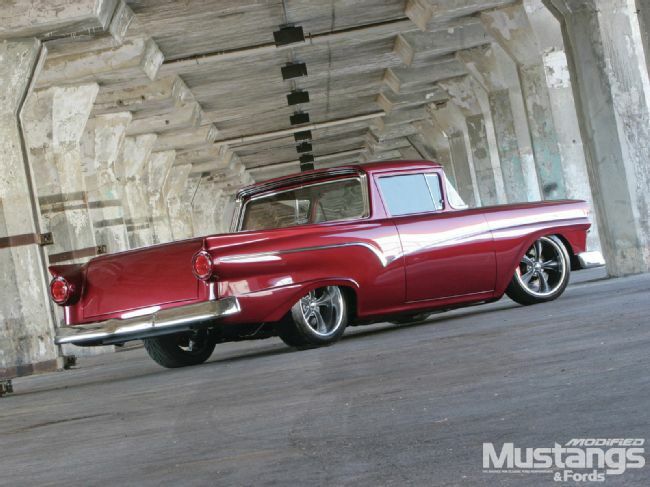 “I always liked that 1957 Ford body style, and that was the only year with the single headlight,” says Paul. 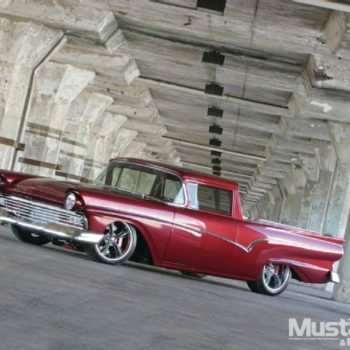 “I always like the Ranchero and El Camino body styles, too, and wanted something that was different from what most people bring to shows. 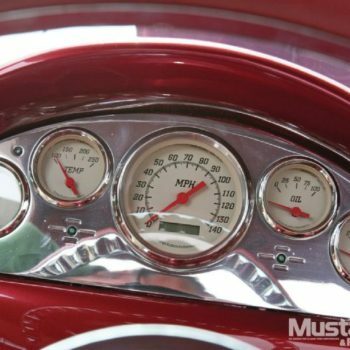 I didn’t want another 1957 Chevy, but something that would get people to stop and admire it for its rarity.” With that concept firmed up, Paul jumped on eBay to search for the perfect candidate, and he found one in Toledo, Ohio, not far from his home. After making the purchase, Paul drove the Ranchero home, taking in all of its idiosyncrasies along the way. 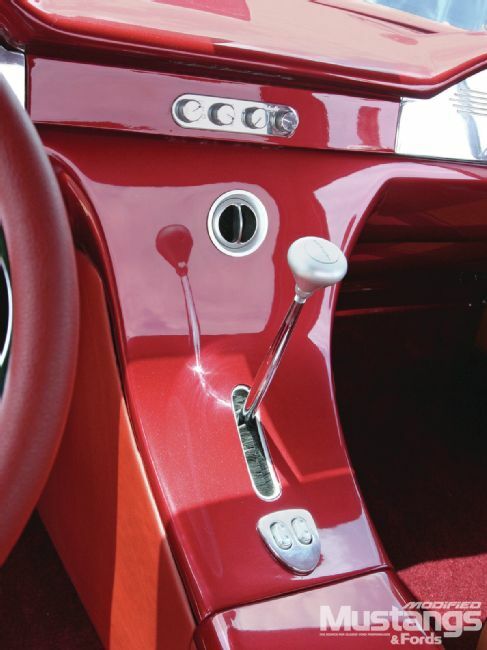 The car had undergone a ’60s-era restomodification at some point, and it’s black over red velour interior appearance told much of the story. 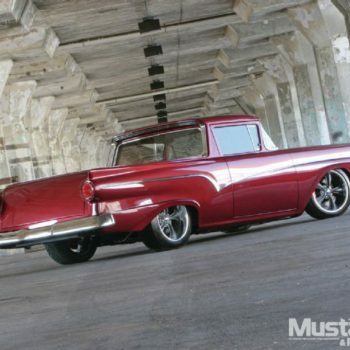 Originally a California car, the Ranchero was in pretty decent shape from a rust standpoint. 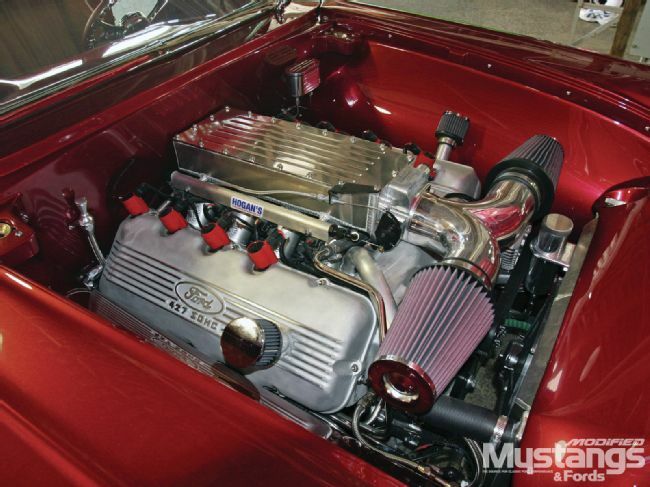 The engine bay was another matter, having been the recipient of a cobbled together 289/automatic drivetrain upgrade. “I had every plan to have it nice, but the builder went far and beyond what I expected it to be,” Paul notes. If you ask us, the builder had no choice, really. 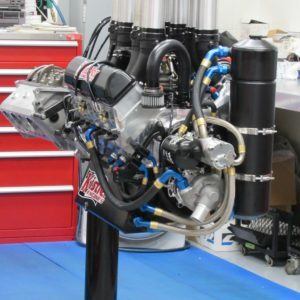 Paul, who builds top sprint car engines for the likes of NASCAR legend Tony Stewart, already had gathered the parts for the Ranchero’s engine long before he bought the car, and Bonnell’s Rod Shop would be remiss in not creating a suitable vehicle to slide over the SOHC FE powerplant. 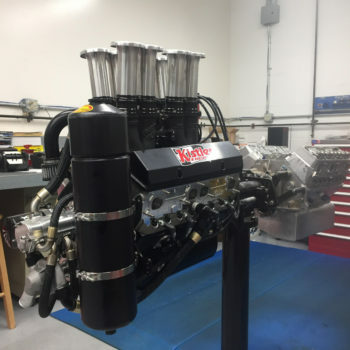 Starting with an FE kit from Dove manufacturing, Paul gathered the rest of the needed parts and built himself a 496 cubic-inch overhead cam engine. 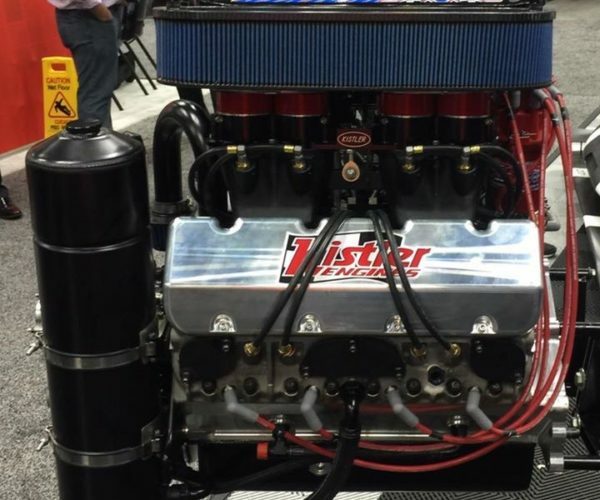 Putting it to the test on the Kistler Engines’ dynamometer, Paul was rewarded with 751 horsepower and 656 lb-ft of torque. Not bad for a car he planned to drive to car shows, but certainly representative of his capabilities as an engine builder. 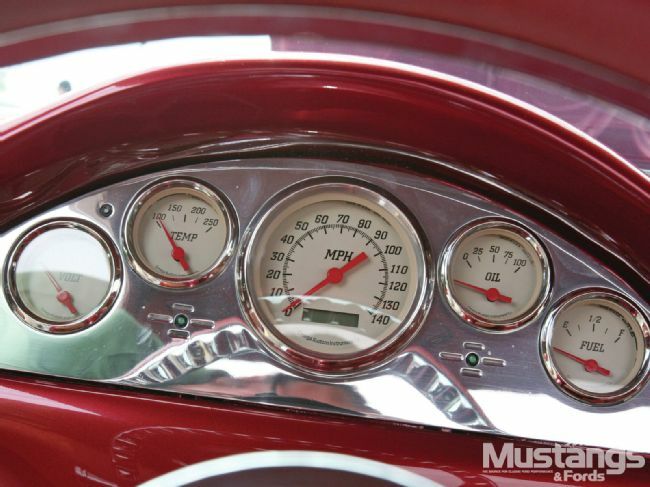 Wanting a modicum of decent fuel mileage, Paul added an EFI system from Fuel Air Spark Technologies. 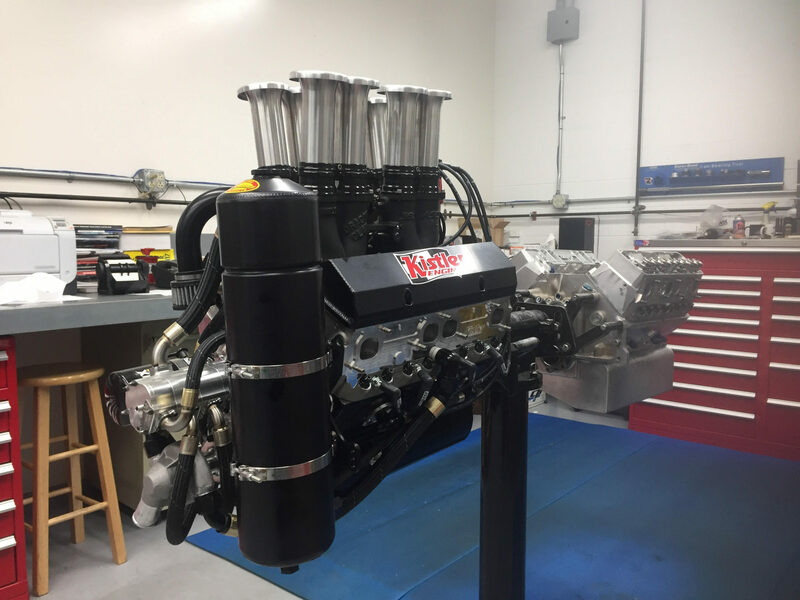 “I work around race cars all the time and didn’t want to have to mess with a carburetor.” Paul also used the company’s distributor-less ignition system to help clean up the engine a bit. The ignition change required a bit of fabrication to the cam covers, including welding and tapping the covers for the coil mounts. Bonnell’s Rod Shop (Fairview, PA) was given the task of slipping the Art Morrison Enterprises chassis underneath the truckster, and whipped the body into shape as well. The staff there also fabricated the engine bay to hug the SOHC engine ever so slightly, and moved the front bumper out 2 inches to line it up with the protruding headlights. The colors on the Ranchero came from both Paul and the Bonnell’s staff. 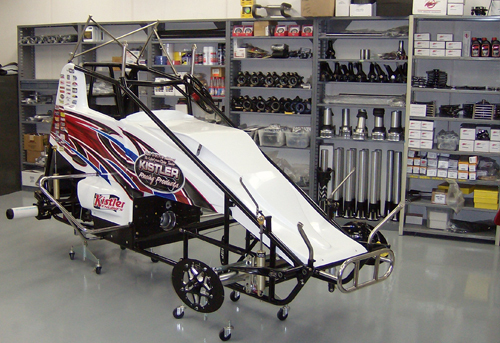 Paul had seen the top color on Tony Stewart’s Old-Spice-sliveried sprint car, and Bonnell’s chose the darker lower color to accent the brighter top hue. For us, both colors, and the combination of the two, are simply delicious looking, and definitely class up the exterior appearance. With the Ranchero now finished, Paul, his wife Sue and son Brian, have been able to enjoy the hot rod, and we caught up with them at the 2012 Good Guys show in Columbus, Ohio, where the Ranchero received the Hot Hauler Award! We’re sure there are more awards to come for this wickedly different ride. 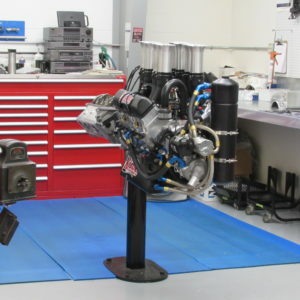 Do you have a custom engine project you want us to work on? 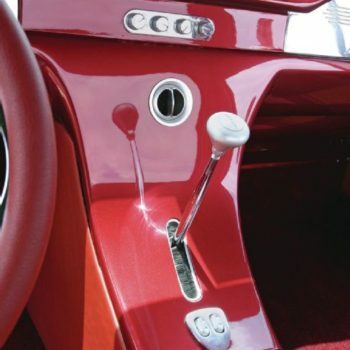 Call 419-332-1843 to discuss your custom project.